Bangin' 'babs, courtesy of the team behind Soho superstar Le Bab. 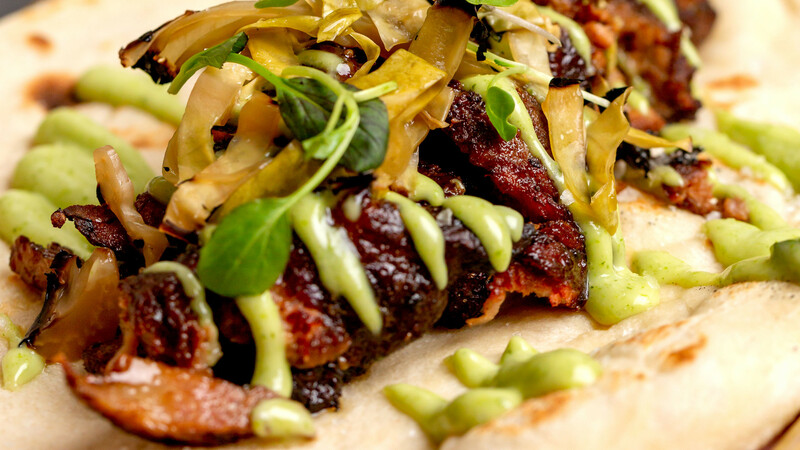 But these aren't the kind of kebabs that are eaten drunk and best forgotten; these are sell-your-soul good kebabs, a holy trinity of ethically sourced meat, seasonal ingredients and pillowy flatbreads that will last long in your memory – but not on your plate. 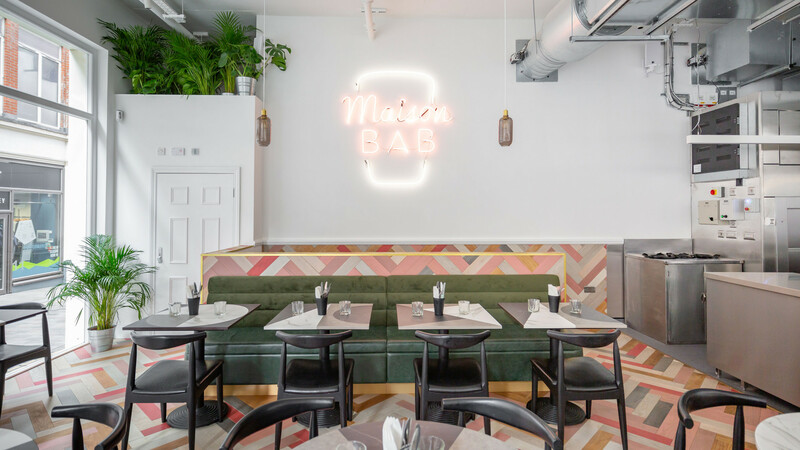 Maison Bab (and the private dining room downstairs, Kebab Queen) has all the essential elements of its Carnaby Street-based sibling, but with a slightly more casual spin; where Le Bab is small and intimate, Maison Bab is bigger, noisier and full of neon pink accents. 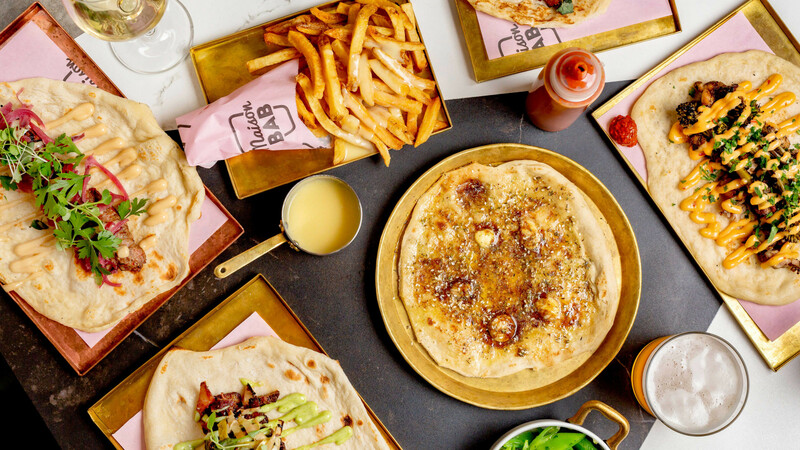 Think Le Bab for dates; Maison Bab for mates – although they both work well for either. 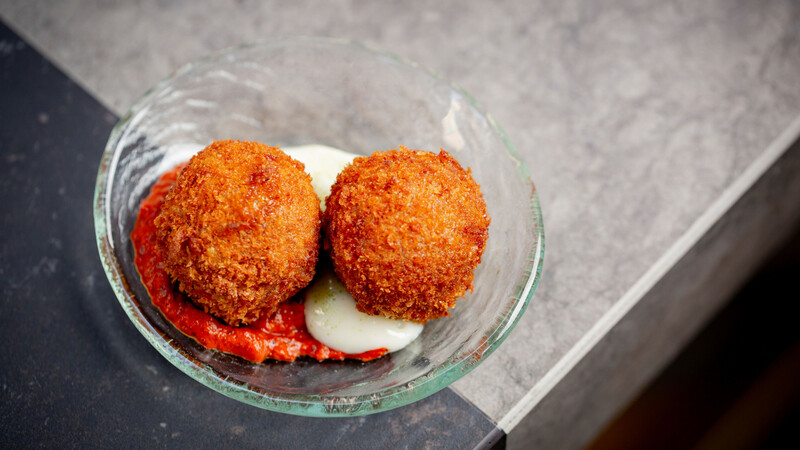 If you're anything like us you're gearing up to eat a lot of food here, so an aperitif is the name of the game. Enter the Grapisco with, er, pisco and vermouth – a light, tart way to kick things off. Elsewhere, the playfully named gin and chronic features CBD (cannabidiol), the hipster ingredient du jour thanks to its touted ability to alleviate anxiety, but is worth an order in its own right. It's then time to move on to the wines which, like at Le Bab, are both affordable and interesting. We plumped for the floral, woody Arthemis 2016 from Masseria Surani, made with Puglian fiano grapes. 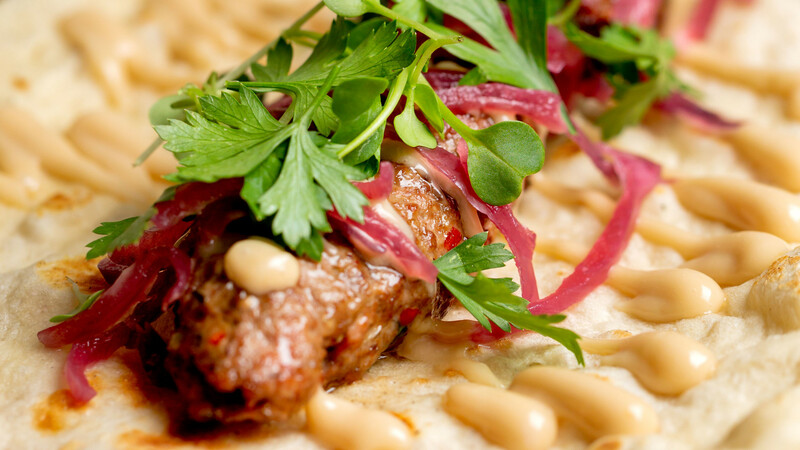 When it comes to kebabs, it's all about the meat (or topping), right? Wrong. The bread it comes on is way more than just a vehicle, and the boys at Maison Bab have got the making of their flatbreads down to a fine art, helped along by the addition of a new bespoke spinning oven designed to bake them to perfection. Try them crunchy, dipped in the velvety Maison hummus and babaganoush, or soft, swaddling those 'babs. Toppings range from smoky, miso-marinated celeriac shish for veggies (or non-veggies) to 15-hour charcoal-grilled pork shawarma with umami-laden burnt pickled cabbage, with lamb adana and chicken shish also available. Cast your eyes over the menu and you'll find sandwiches (raclette pork shawarma, we'll be back for you later) and a wider range of starters and sides, like the rich and mouth-coatingly moreish mutton curry. Nicely done.